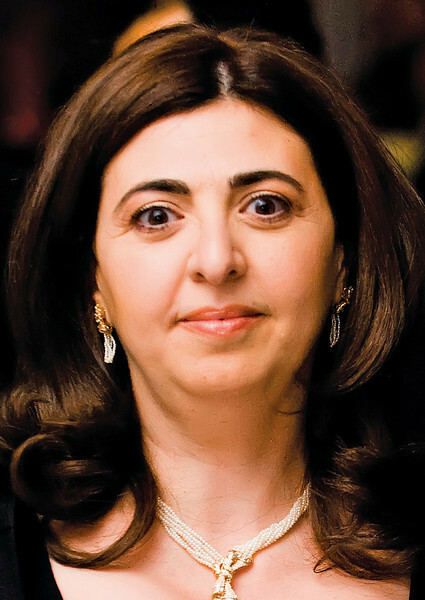 Houda Ezra Nonoo, Ambassador of Bahrain to the US, and the first Jewish ambassador posted abroad by an Arab country, is scheduled to headline the annual conference of the Association for the Study of the Middle East and Africa (ASMEA) outside Washington D.C.
Nonoo, who is also the first female ambassador to the US from Bahrain, has remained largely tight-lipped throughout her stint in Washington. And though she granted Moment Magazine an exclusive interview last year, she rarely speaks publicly about issues including her country’s suppression of the Shiite majority during the Arab Spring riots of 2011. But that is starting to change and Nonoo now has her own blog, where she posts a few times a week on issues ranging from 9/11 to the UN General Assembly. AMSEA was founded in 2007 by Middle East historian Bernard Lewis, as an attempt to counter the hegemony of Edward Said in American universities.